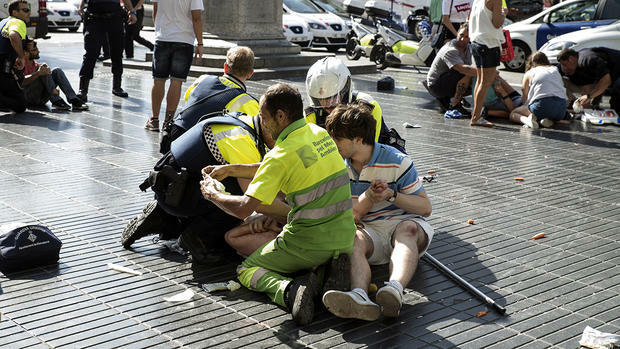 No doubt all readers have seen the horrendous scenes on mainstream media, whereby at least 13 people were killed and a further 100+ injured, following an act of terror caused by a van which targeted pedestrians at speed in the the popular tourist area Las Ramblas, close to Barcelona port. There were actually 2 cruise ships berthed at the port of Barcelona during the time of the terror attack, which were P&O Britannia and TUI Discovery 2. According to reports coming from a passenger on board P&O Britannia, the Captain announced that he would sail close to the Spanish coastline to enable passengers to phone let their families know of their safe. Moreover, has informed head office at Carnival UK in Southampton that all passengers and crew were back on board safe and sound. At this juncture, there is no news about the passengers and crew on board the TUI Discovery 2 operated by Thomson Cruises. While Spain has been on terror alert since 2015, the country has not witnessed any terrorist attacks since the coordinated explosion of bombs on the commuter train in Madrid on 11th March 2004, which resulted in 192 dead and more than 2,000 wounded. In the past year, there have been 8 attacks around Europe, which is alarming. Our hearts and minds go out to all the victims and their families in Barcelona.